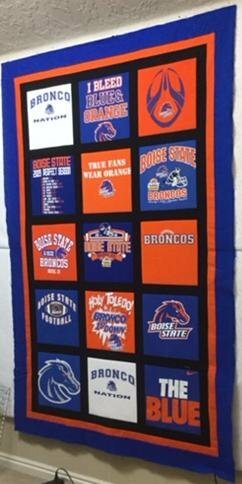 Why not turn that stack of t-shirts into a quilt that makes a great gift for a graduation or any other special occasion for your family or friends? Nervous to cut up the shirts? No worries, you'll learn how to cut and fuse those precious shirts, while working with fusible interfacing. The many tips and tricks you'll learn will make this process fun and easy.